Men’s black logo jumper from McQ Alexander McQueen. 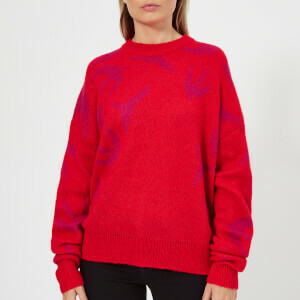 Crafted from a knitted cotton blend, the ‘Bunny Sticker’ sweater is designed with all over playful sticker embroidery in contrasting white thread. Complete with a ribbed crew neck, hem and cuffs.